Here are Key Findings from the must watch series by the Center For Security Policy, The Muslim Brotherhood In America. Most of who visit here need no urging to watch this series but many Americans will. All I will add is that now is the time for a series like this to be watched by all Americans. 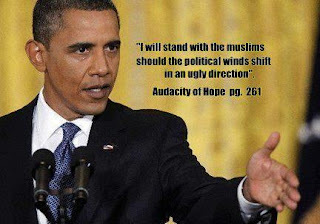 It is up to us to kick obama and his islamist sympathizing administration out of the White House this coming November. This must be done if we are to begin the restoration of our country and economy. As I have mentioned many time before, cast your eyes to europistan for our future in these areas, immigration, demographics, economy and the spread of islam and sharia law. Again, I implore to all of you this note from Baron Bodissey and I could not agree with him more: Take the course — you owe it to yourself, and to your children, and to your grandchildren. This Course draws exclusively upon information in the public domain and that obtained from first-hand accounts. There is, assuredly, considerably more information that would be helpful to making to a full threat assessment. The findings below, based solely on what is currently available, should prompt those with access to classified information, subpoena power and other investigative tools to bring them to bear urgently for that purpose. 1. Shariah is a totalitarian, brutally repressive and supremacist doctrine. 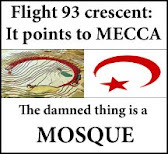 Its adherents – notably, the Muslim Brotherhood – seek to bring it here. 2. Shariah is principally about power, not faith. Accordingly, acting to realize its political end of overthrowing the U.S. government is seditious and must be prosecuted, not treated as protected religious practice. 3. The Brotherhood is not a non-violent group. Rather, in most countries where it operates including the United States, it is in a pre-violent phase. 4. The Muslim Brotherhood’s strategic plan, the group’s mission in America is a “civilization-jihadist process…a kind of grand jihad in eliminating and destroying Western civilization from within” by our hands. 5. The Muslim Brotherhood’s civilization jihad is being pursued through stealthy means involving the penetration and subversion of this country’s civil society and governing institutions. Presidencies of both parties have been compromised in this way. 6. One determinant of the success of such a stealthy, pre-violent jihad is what the military calls “information dominance.” If the Muslim Brotherhood can exercise it, we can be kept ignorant of the true nature of the threat they pose – and the progress they are making in bringing shariah to America. That has been substantially the case over the past ten years and increasingly of late. 7. The Muslim Brotherhood was helped in its efforts to achieve information dominance over the George W. Bush administration, thanks to collaboration between a top Muslim Brotherhood operative, Abdurahman Alamoudi, and anti-tax activist Grover Norquist. 8. In addition to al Qaeda financier Alamoudi, Norquist helped mainstream in the Bush campaign and/or administration five other Muslims with extensive ties to the Muslim Brotherhood. They were: the Islamic Free Market Institute’s Khalid Saffuri, CAIR’s Nihad Awad, Palestinian Jihad’s Sami al-Arian, the Fiqh Council’s Muzzamil Siddiqi and Suhail Khan, a former staffer for Rep. Tom Campbell of California. 9. In his capacity as the de facto Muslim gatekeeper in the Office of Public Liaison under senior Bush advisor Karl Rove, and then as an assistant in the personal office of the Secretary of Transportation, Khan had, at a minimum, an opportunity to facilitate the penetration of other Islamists. 10. Both during and after the Bush administration, Norquist has used various organizations to promote Islamist agendas. These have included Red-Green coalitions made up of radical and other leftists and Muslim Brotherhood front groups with whom they routinely make common cause, to the detriment of U.S. security, constitutional freedoms and other interests. 11. Norquist has worked for years to “create relations with top political leaders and Muslims.” Of late, that has included running such Muslims for elective office as Republicans. Three of his protégés – Kamal Nawash, Faisal Gill and Imad “David” Ramadan – have met with mixed results in their runs for state legislative seats in Virginia thanks to troubling questions about their backgrounds and associations. 12. Norquist continues to support Islamist agenda items and to work to counter initiatives opposed by the Brothers. In the process, he has collaborated with radical leftists and Islamists in Red-Green Coalitions, the latter include Iranian influence operations. 13. The precedents, personnel and policies promoted by Norquist and his friends during the George W. Bush administration have metastasized dramatically under that of President Obama. 14. Notably, six Islamist-sympathizers have achieved positions within or advisory roles serving Team Obama: Special Envoy to the Organization of Islamic Cooperation Rashad Hussein; Deputy Chief of Staff to Secretary of State Hillary Clinton Huma Abedein; Presidential advisor Dalia Mogahed; FBI Citizens Academy graduate Kifah Mustafa; Homeland Security Advisory Committee Member Mohamed Elibiary and Homeland Security Countering Violent Extremism Working Group Member Mohamed Magid. 15. The conduct of seven key federal agencies suggests the considerable success of the Muslim Brotherhood in destroying us from within by our own hands – starting with the policies and directives emanating from the Oval Office and elsewhere in the White House complex, and including the priorities and activities of: the Office of the Director of National Intelligence, the Departments of State, Justice, Defense and Homeland Security and even NASA. 16. There are myriad steps Americans can – and must – take to counter this civilization jihad. Some can be undertaken as individuals; some through organized efforts; and others as a nation. In light of these findings, there is an urgent need for rigorous congressional oversight and investigations aimed at exposing the extent of the civilization jihad – and the need for corrective action aimed at countering it, particularly by federal authorities. Such legislative branch initiatives should be accompanied by corresponding actions initiated by Inspectors General and, as appropriate, law enforcement. Tags: Key findings, Muslim Brotherhood, America To share or post to your site, click on "Post Link". 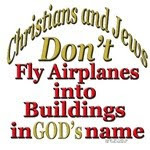 Please mention / link to the Patriot's Corner. Thanks! 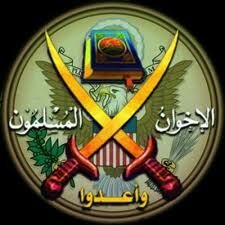 Until we remove Sheik Obama from office the MB will be able to infiltrate our nation. That is why we will vote for Romney in Nov. 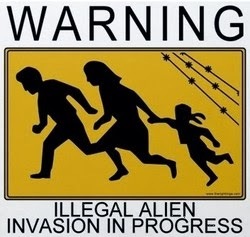 The main objective is to remove Obama from office.